What is 53 Grade Cement? 53 Grade cement confirms the IS standards of 12269 - 1987. 53 Grade Cement are employed in the constructions were higher strength has to be achieved in brief fundamental measure by providing long-lasting strength for concrete structures, it only takes thirty minutes for setting initially i.e., 53 Grade attains compression strength of 27 mpa in 7days of setting time. Where is 53 Grade Cement Used? 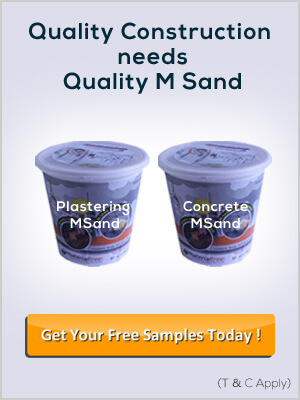 Which 53 Grade Cement brands are available at materialtree.com? All major brands like Birla Super 53 Grade Cement, ACC 53 Grade Cement, Zuari 53 Grade Cement, Dalmia 53 Grade Cement, Birla 53 Grade Cement, Coromandel 53 Grade Cement, Ramco 53 Grade Cement, Jaypee 53 Grade Cement, Nagarjuna 53 Grade Cement, Maha 53 Grade Cement, Chettinad 53 Grade Cement, Bharathi 53 Grade Cement, Penna 53 Grade Cement, Birla gold 53 Grade Cement, Anjani Gold 53 Grade Cement, KCP 53 Grade Cement, Sagar 53 Grade Cement are available at materialtree.com. Get special prices on 53 Grade cement by ordering in bulk.